The Nano Super Air Nozzle is available with an M6 x 0.75 thread OR a 1/8 NPT thread. 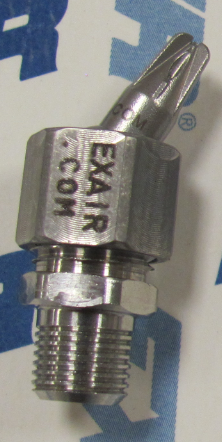 I recently took a call from a customer who was looking for a Nano Super Air Nozzle with a swivel and NPT threads. We have two versions of this (see above) thanks to our plethora of options. We offer a newer Mini Swivel Fitting that will allow the M6 thread of the Nano Super Air Nozzle to go straight into the swivel joint and it gives you a 1/8″ MNPT on the opposite side. This still permits the 25° from center range of motion as the standard swivels do but, with a smaller footprint, is able to get into tighter spaces. 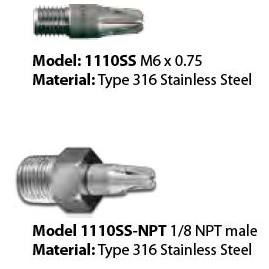 The other option is to utilize a model 1110SS-NPT which is a Nano Super Air Nozzle w/ 1/8″ NPT adapter, then add a 1/8″ NPT Swivel fitting which is a model 9052. This option is a little bulkier, but if you needed some extra length on the nozzle side to get closer to the target area then it would be helpful. 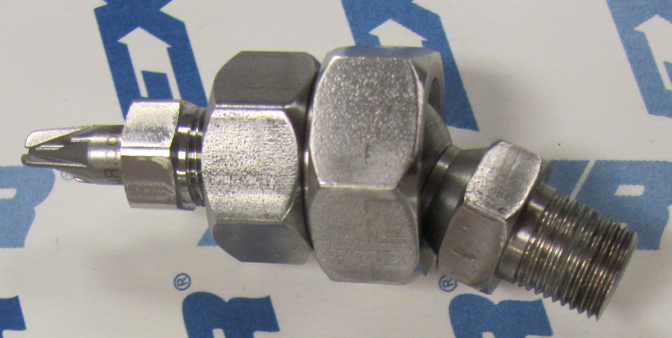 This unit also offers the 25° from center range of motion and still gives a 1/8″ MNPT thread to plug into your system. As you can see in the picture above, the Mini Swivel fitting with Nano Super Air Nozzle is a more compact option, but does not reach as far as the standard 1/8″ swivel with NPT Nano Super Air Nozzle. No matter the case, we have them both in stock and ready to ship same day on orders received by 3 PM EST that are shipping within the states. 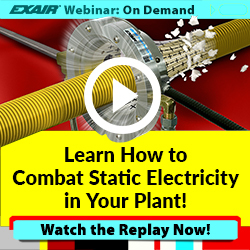 Chances are if you have a need for a compressed air blow off, we will have more than one way to get the job done. 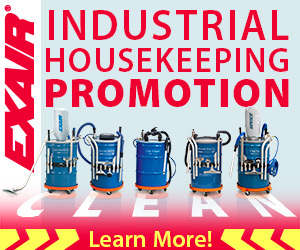 Our goal is to sell you the best engineered solution that will get the job done and make your life easier. If you would like to discuss any of your applications, please contact us.